A number of people have had the idea to stage a play that follows on from the four Mystery Dramas that Rudolf Steiner wrote between 1909 and 1913. Steiner wished to write a fifth but the First World War prevented him. He did leave some indications as to what would be in his Fifth Mystery Drama. Here are some thoughts about my early experiences of writing the script. I wrote it between 2012 and 2018. In June 2018 it was published. For copyright reasons it is only available at this time as a non-registered form, without ISBN. In 1914 Rudolf Steiner should have written his Fifth Mystery Drama, however the outbreak of the First World War prevented him from doing this. After the war he was repeatedly asked to write down and stage his fth play but claimed that the time was never right for this to become possible. In the introduction to this book Karl Karltenbach suggests that the real reason for Steiner being unable to write and produce his play was that more time was needed for the world to develop a modern global economy. A fth play could only be written after Steiner’s death. This new work by Michael Hedley Burton is not the Fifth Mystery Drama – we do not know how Steiner would have written this – but it is an attempt to come as close as possible to a recreation of what Steiner might have written if he’d been able to express in written form a metamorphosis of his earlier characters, ideas and events. In a world in which economic forces have the upper hand, people know instinctively that things cannot go on in the old way, but how will the necessary transformation take place? Against a backdrop of the deepening activity of evil in our time, this play is a bridging play between Steiner’s age and our own. It shows how spiritual work, carried out by awakened human beings creating together, can be the impetus towards effective social activity. I first read one of Steiner’s Mystery Dramas when I was 22 years old. I was hooked immediately and can remember reading all four of these long plays over four consecutive nights. I was an acting student then and had recently completed my Diploma in Drama course at Auckland University under Mervyn Thompson. As I read these new plays, I did not understand all that I was reading, but I could recognize that they were like nothing I had ever read before and were linked to the great currents of classical Greek tragedy that had influenced the world so profoundly. I felt in these plays that they had a power that held great potential to take drama further. Less than a month later I went out of my way, on a hitchhiking tour to Europe through America, to meet Peter Mennaker, a young actor who was beginning to produce the Mystery Dramas in America. It was a short meeting, but it left me with a feeling for something that would happen between him and me in the future. Unfortunately Peter died some years later at the tender age of 30. I arrived a second time in England as the group Portal Productions was coming to a close in its rehearsals for the First Mystery Drama. I joined them on a wet, cold day in London in Steiner House during a never-ending technical rehearsal and then headed up to Yorkshire where I had work doing speech and drama with adults with special needs. I never saw that performance of the first play but did see the Second Mystery Drama, The Soul’s Probation, directed by Christopher Marcus, which signified for me that the work had now been brought to a whole new level of professionalism. The highlight for me was a masterfully directed scene in which Maria confronts Ahriman. A bat flew into the theatre and zoomed around for the exact duration of that scene, leaving at the very end of it. You could not possibly ask for better staging! That group went on to do the Third Mystery Drama, and this time I joined them as an actor. We took the play on a short tour, and it was this that paved the way for a much more ambitious project for the Fourth Drama. In that, we set out to bring the play to twelve countries in Europe and five cities in North America. Adrian Locher and myself were given the task of doing a new translation – something that was a very good apprenticeship for me for the present task as writer of a new play that arises out of the four. When the tour finished there was a feeling of great potential. I decided I wanted to take on the task of writing new plays inspired by the four and set myself the goal of writing seven plays that would deal with the theme of spiritual events so that I could gradually learn for myself how to write a “mystery drama”. Some of these plays were performed and some weren’t, and it was only after I’d written the seventh, a play about Charles Darwin called Collapsing Creation that was performed at the Hurstpierpoint Festival in England in 2010, that I realized I had indeed fulfilled my self-chosen task and broken into a new kind of writing. However, there were few people around to perform such plays in the new style that they demanded, and I decided to hang up my hat and return to other forms of work. I resumed the healing work of Chirophonetics (sounds of speech combined with massage) and returned to the work I loved with adults who have special needs. The potential for a renaissance of culture that I had felt at the end of the Fourth Mystery Drama just had not taken place, but seeds planted through the work of Portal Productions must have been growing in the darkness. So far there has not taken place in mainstream culture any great rebirth of a new form of drama of the kind we felt would happen when we worked with Portal Productions. This new project could change that. I don’t know if I will be involved after the writing of the play, but the writing itself is a great task and a fulfillment of goals I set myself in 1994 in a way I could not possibly have imagined then. I am very grateful to Marke Levene for the vision and the perseverance he has shown that has enabled this project to be born. If we consider a different art to speech and drama – that of music – we can look at a time, such as the end of the Eighteenth Century, when music was far less of a cultural force in people’s lives than it is today. Great music had been written by Bach, Vivaldi and Mozart, but the orchestras of the time were unprofessional, the music was held in a strait-jacket of classical tradition and audiences were philistine in their musical appreciation. During the Nineteenth Century that changed entirely. Classical music still does not reach as many people as we would like, and it is subject to many retrograde pressures, but no one can deny that music has found its place as an important world-cultural force and that orchestras, composers and conductors work out of a level of professionalism quite unheard of in Mozart or Beethoven’s day. In the arts that are centered around human speech, I compare the situation now with that of music in the late Eighteen Century. Drama has been taken to a high level, but recent tendencies have been towards new forms of movement and away from a firm connection to literary significance. We are also very locked into the physical world, whereas the arts need to be seen as an expression of spiritual realities. This is a fine time to bring about a new style of theater. Those who wish to bring about a rebirth of drama and connect it to what came to us from the time of Shakespeare will seem to be swimming against the tide, but the tide does need to turn, and the Word needs to find a new significance in our lives. 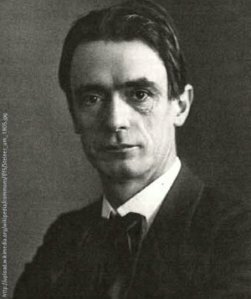 At the start of the Twentieth Century, Rudolf Steiner brought undreamt of possibilities to expression in everything that has its origin in human speech. He gave us the new art of eurythmy, he showed in many lectures the connection between macrocosm and microcosm that is carried in human speech and he wrote four plays that are an example of what writers and actors can achieve in future. There is a fruitfulness in what Steiner brings as understanding of speech that I am certain cultural initiators of the future will not be able to ignore. If culture is allowed to go its own way freely, I believe that it will find a new connection to the sources of speech. It is partly to encourage this that our present project is beginning. My picture of what this new play could bring is of a far-reaching revolution in the performing arts. The work that we are planning will be hated by some, for it challenges people on many different levels. But there are new forms of art that we are only beginning to understand. The life-and-death questions of our time cannot be considered separate from questions regarding the presence or absence of spiritual powers in people’s lives, and the art of drama is uniquely placed to bridge human experience with objective, spiritual fact. 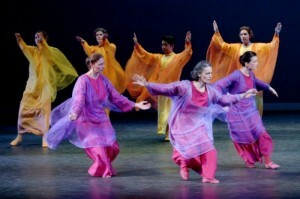 This festival of a new form of speech, drama and eurythmy could change the world! We will start open to such possibilities, and gradually it will be revealed to us what is possible.